Firm: Gainsburgh, Benjamin, David, Meunier & Warshauer, L.L.C. Irving J. Warshauer joined the Gainsburgh Benjamin law firm as an associate in 1980, and he became a partner of the firm in 1984. Prior to joining this firm, he was an Assistant United States Attorney for the Eastern District of Louisiana and a Trial Attorney in the Criminal Division of the United States Department of Justice, from whom he received a Special Commendation in 1979. He served on the Federal Public Defender Panel for the Eastern District of Louisiana from 1981 – 2002. Irving is licensed to practice before all Louisiana state and federal courts and before the United States Supreme Court. Irving concentrates his practice in representing individuals and families in personal injury and wrongful death litigation, particularly in the areas of admiralty/maritime, products liability and major automobile collisions. He has successfully represented adults and children who had suffered catastrophic brain, spinal cord and burn injuries as the result of negligent conduct or a defective product. Irving was the lead trial attorney in a class action lawsuit involving a refinery's discharge into the Mississippi River of untreated, contaminated waste water that caused various health problems to residents in St Bernard Parish. He also was appointed by a federal court judge as Plaintiff’s Co-Lead Trial Counsel and to serve on the Plaintiffs’ Steering Committee in a class action litigation involving a discharge of contaminants into the Pearl River which resulted in a massive fish kill. Irving was born in New Orleans, Louisiana on May 11, 1950. He attended the University of North Carolina at Chapel Hill, where he was a member of Phi Beta Kappa Honor Society and he earned a B.A. degree, with honors, in 1972. In 1976, Irving received his Juris Doctor degree from Tulane University School of Law. He has been certified in Civil Trial Advocacy by the National Board of Trial Advocacy. He co–authored “The Uniqueness of Maritime Personal Injury and Death Law,” 79 Tulane Law Review Nos. 5 and 6 (2005). For the past thirteen years, Irving has been listed in The Best Lawyers in America, published by Woodward/White. In 2009, he was named “New Orleans Best Lawyers’ Personal Injury Litigator of the Year” and he was recently selected the "Best Lawyers' 2016 New Orleans Personal Injury Litigation - Plaintiffs 'Lawyer of the Year."' Since 2006, Irving has been listed in Louisiana Super Lawyers, as published by Law and Politics, and in the 2010 and 2011 publications he was listed as one of “The Top 50" lawyers in Louisiana. This year, he was recognized as one of Louisiana Super Lawyers' "Top 50" lawyers in both New Orleans and Louisiana. Irving was named to New Orleans CityBusiness' 2012 Leadership in Law class which honors attorneys who have achieved success in their law practice and have made positive contributions to the greater community. Irving is a fellow of the American College of Trial Lawyers, in which he served on the Louisiana State Committee from 2007-2012, the Litigation Counsel of America, the American Bar Foundation, and the Louisiana Bar Foundation. 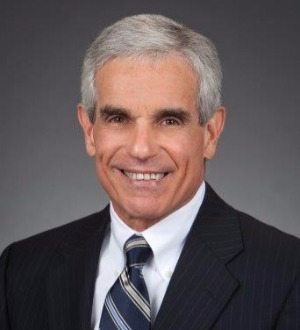 He is a member of the American Bar Association and previously served as a Vice–Chair of the Admiralty and Maritime Law Committee, Tort and Insurance Practice Section. Irving is also a member of the Maritime Law Association of the United States, in which he has Proctor Status, the Southeastern Admiralty Law Institute, the Federal Bar Association, the American Association for Justice, the Louisiana Association of Justice, and the Tulane Law School American Inn of Court, in which he served as President from 2006 – 2008. He has served in the Louisiana State Bar Association’s House of Delegates since 1997, and he has been a member of the Ethics Advisory Service Committee for the past ten years. Irving is a member of the New Orleans Bar Association, in which he served as Chair of the Products Liability Committee in 2014 and 2015. Since 2010, he has been a member of the Planning and Program Committees of the Tulane Admiralty Law Institute. Irving’s civic activities have included serving on the Board of Directors of Make–A–Wish Foundation of Louisiana, of which he was President from 2005–2006, and as President of the Audubon Area Zoning Association. He is a member of the Board of Directors of Appleseed Louisiana and currently serves as its President. He also serves on the Advisory Board of the South Central Regional Office of the Anti-Defamation League and for two years was Co-Chair of its Civil Rights Committee. He was a member of the Isidore Newman School Board of Governors from 1997 - 2014, and he was the Board Chair from 2007 – 2010. Irving and his wife, Lynda, have two daughters, Jordan and Taylor.